The warrior is related to the energy of Mars in its diurnal and nocturnal representations (Aries and Scorpio respectively). As such, it finds a place both in the East and the West direction, with the former being connected to the visionary, yang, outer or enterprising expression and the latter manifesting the transformational, inner, yin features. The warrior is overtly promoted through the books of Carlos Castaneda where it is defined as a man of knowledge that moves wide-awake, with unbending Intent, clarity of mind, strenuous labour, fear, respect and self-confidence. Obviously, the warrior has nothing to do with conventional human wars. It is not related to violence or to the aim of killing or destroying somebody or something. The war is against limits and weaknesses, a fight with the forces that oppose transformation, a battle aimed at retrieving the choice to elect how to be and live. The most typical trait of a warrior is striving for impeccability in every moment. Impeccabililty is the optimum use of power. It is a determination in choosing what is most aligned with your Intent and giving your best in whatever I do. The warrior is constantly in a fight and never surrenders. Even the apparently most insignificant act of his life is seen as a major challenge, the opportunity to go beyond his limits, to express power, to let go of the ego. A warrior has various armaments at his disposal. His fundamental weapon is the unbending willingness to hold and manifest his Intent and vision, no matter what. This allows him not to be dragged by the stream of fearful or idle thoughts, and to keep moving on his path. There are no possibilities of compromise there. The warrior makes of every act an ultimate battle in which the awareness of possible death is constantly present. Death is indeed one of his greatest allies, as it permits him to keep a noble sense of detachment toward everything and everyone. Using willingness, strategy, impeccability, control, and the ceaseless awareness of his imminent death, he learns to reduce his needs to a minimum. In this way, life becomes very simple, as it is built upon continuous decisions and choices aimed at aligning him with his Intent. This creates joy and love in every moment. As he is not burdened and manipulated by his illusory needs and goals, he can access the dimensions of unlimited abundance that exist beyond the hallucination of scarcity prevalent in conventional reality. 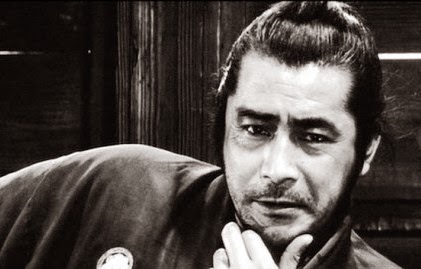 Image: Toshiro Mifune, born with Sun in Aries and Moon in Virgo, from "Seven Samurai" by Akira Kurosawa, also born with Sun in Aries and Moon in Virgo. For movies associated with Mars/Aries click here. For books associated with Mars/Aries click here. 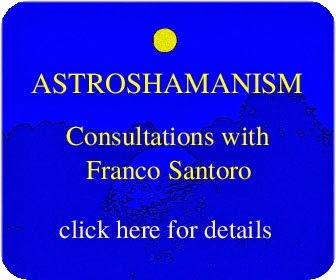 For music associated with Mars/Aries click here.